Medical check was conducted for Thalassemia children on 29th august at Tapadia Diagnostics in association with CTBD. 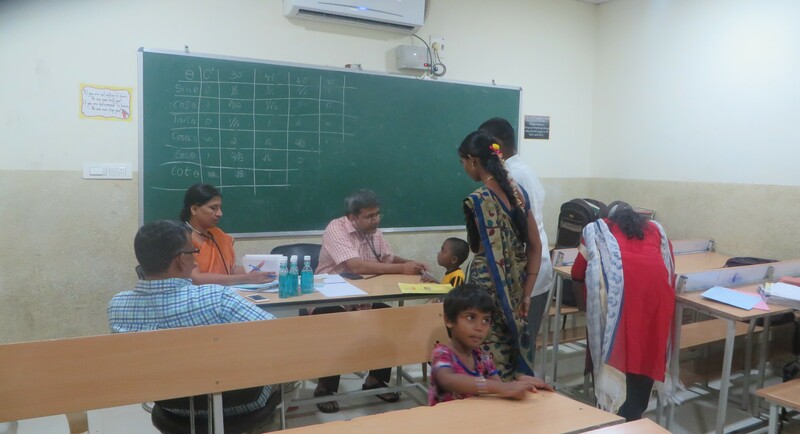 10 Children attended the clinic and were done regular checkup by Dr Ramana Dandamudi and his team. We have seen significant improvement in their health after they started attending the clinics. They are now being monitored regularly and hence have good compliance . We thank all those who are part of the community work. CCF Outreach Team participated in the Thalassemia camp held on 26th aug 2018 at Shikara school, Vijayawada. The Medical Camp was organised by Kinnera memorial Trust and Mamata Foundation. Dr Ramana Dandamudi, Mrs Jaya, Mr Hemanth and Dr Kamal joined as a team to guide children. Around 30 children attended and got investigations done. 2D echo was done for all the children. We thank all the volunteers and sponsors for their efforts. CCF supported 4 children for Chemotherapy on 19th aug 2018. The children are undergoing treatment for Leukemia at Little stars children hospital. Donor family Mummaneni’s had come to give cheques and meet the families. Kinnera memorial Trust also supported the 4 children . 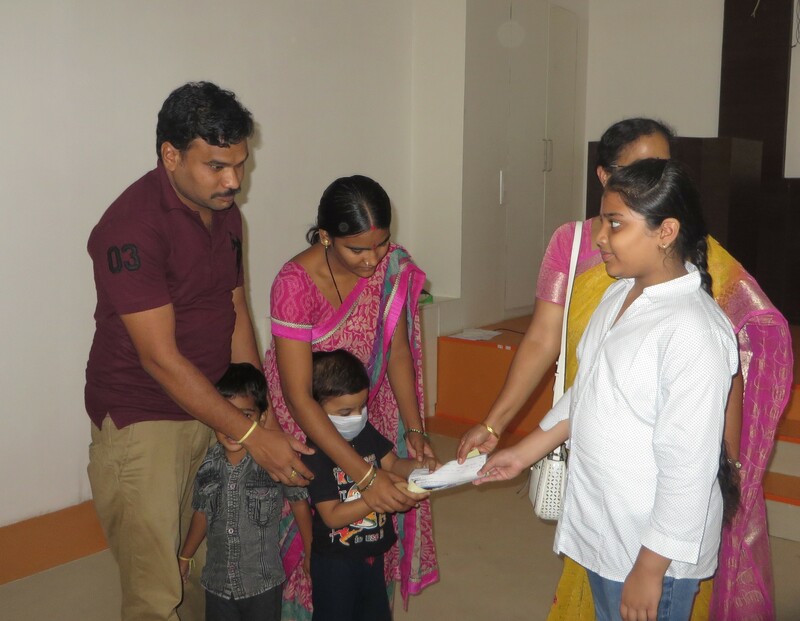 Mrs Krishna Kantamneni met them at LSCH and gave cheques . We thank donors and volunteers for their continuous support. CCF organized a medical checkup for Thalassemia children at Redcross Society, Vidya Nagar on 8th of august. 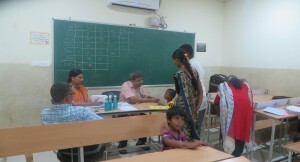 10 children along with parents attended the clinic and got medical checkup done. 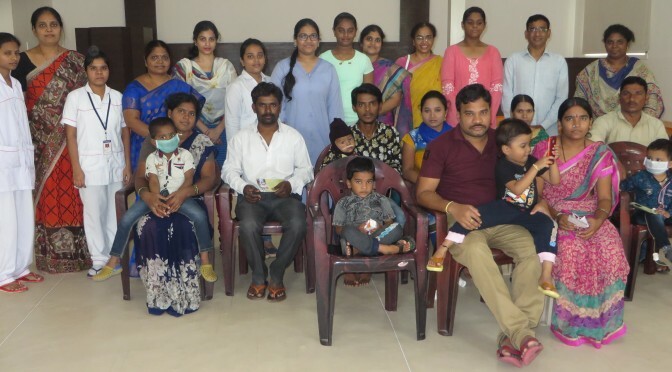 Dr Ramana Dandamudi (Pediatric Hematology), Dr Pitchi Reddy , Mrs Jaya Nagabhushanam,Mrs Martha and Mrs shailaja participated in the clinic and gave guidance on management of Thalassemia. We conducted a free clinic for thalassemia community on 31st july at CTBD in association with Tapadia diagnostics. The clinic was attended by 11 patients.